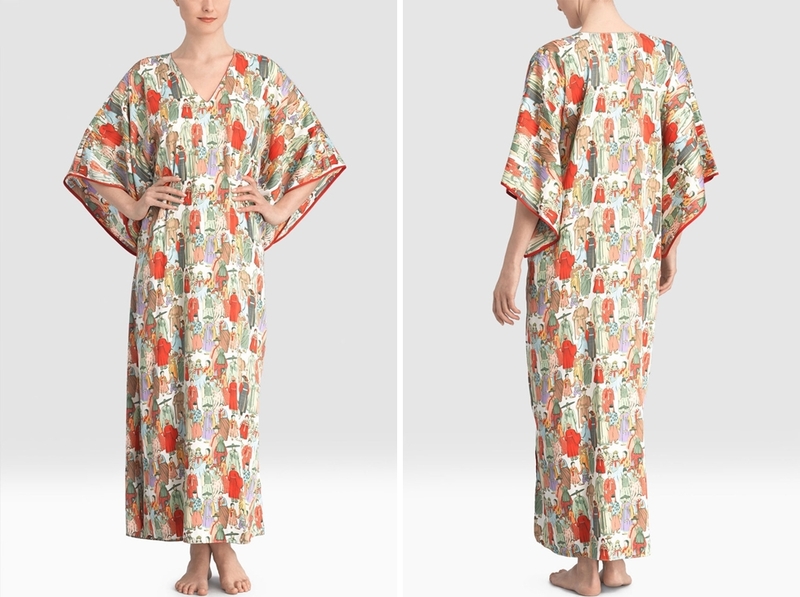 Kimono robes - Most of us love the comfy, cosy cotton robes or terry cloth robes that are hanging in our closets and bathrooms. And, while they’re practical they’re not terribly inspiring. For those who crave something sensational however, kimonos are simply stunning and designed to delight the senses. From beautiful iridescent silk robes to exquisite hand painted caftans, it’s easy to feel like a lingerie goddess when you slip into a luxurious kimono that says, "I have arrived." Follow along as we share the tips and tricks that you need to know for one of the best drop-dead gorgeous beautiful lingerie favorites that will leave you breathless. Feeling like a goddess starts with choosing the right style that compliments your personality and silhouette. Nail the perfect style of robe with the right cut and fit that enhance your natural curves and you'll look amazing. The first kimono styles were greatly influenced by garments worn by the Han Chinese. As early as the 5th century BC, Japanese diplomats and travelers brought back many Chinese influences and helped integrate these womens robes into Japanese culture. Play up your coloring and skin tone in shades that suit you best and are your favorites. Don’t get stuck in a drab shade when you can wear a bold turquoise, fuchsia, red, or emerald silk kimono robe. Knowing that you’re slipping into a robe in your favorite shade will take your look from simple to stunning and will make you feel special. The majority of Japanese kimonos are silk robes or satin robes that are sewn by hand; even those made with the aid of machines normally have a great deal of hand-sewn elements as well. Treat yourself to a kimono robe that’s loaded with pretty details and create a feeling of indulgence that you’ll love. Kimono robes are normally worn over a single layer of lingerie undergarments, and are highly symbolic. Even the most beautiful kimono robe will look lackluster and fall flat if you wear ratty old pajamas underneath. Pairing your kimono with other special lingerie will always make you look irresistible and utterly gorgeous. Some expensive kimonos are also decorated using shibori, a Japanese tie-dye technique that often appears in tandem with custom hand-painted lingerie and intimate apparel. Shibori is an elaborate and difficult technique requiring many hours to execute correctly, making these luxury robes among the most expensive. The secret to looking like a goddess in any lingerie is setting aside a few extra minutes to pay attention to your whole look. Go from head to toe and make sure your hair is brushed, your legs are shaved, your face is softly made up, and your skin is silky and moisturized with your favorite lotion or body oil. These simple steps will make you feel beautiful, confident, and absolutely stunning in any intimate apparel that you choose to wear.